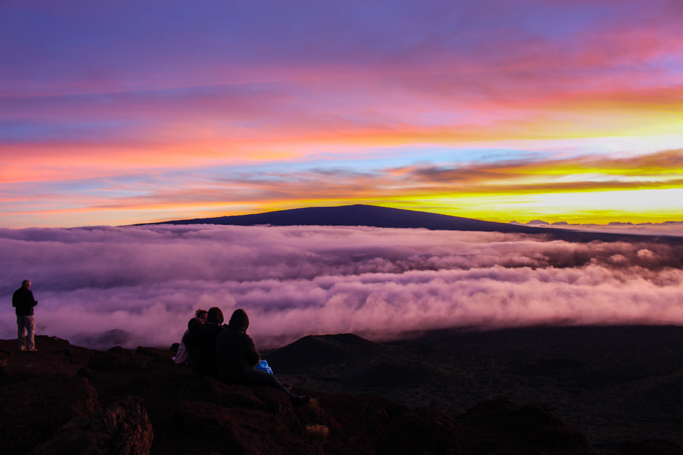 The tropical location of Hawaii’s Big Island offers adventure, scenic beauty & amazing food. 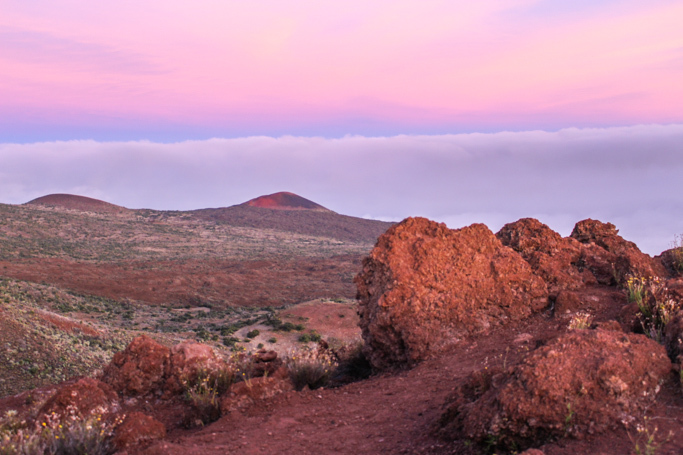 Here are some key things to do and where to eat when visiting Hawaii Island. Does anyone know where to buy a time machine? One month ago today we left on our trip to the Big Island, Hawaii, and I’ve spent each of the past 30 days daydreaming about that vacation. Waking up at dawn, grabbing a cup of Kona coffee, and relaxing in the hot tub as we contemplated what our itinerary would be each day. Some days were low key – Just some time by the pool and snorkeling in the bay right in front of our hotel, The Fairmont Orchid. Other days were packed with adventure – Hiking down roads at a 25% incline, golfing with peacocks, and driving around in the pouring rain trying to find the most authentic Hawaiian road food on the island. We spent eight days on the island, which were fantastic. However, we could have used a couple more. Because we were staying on the upper northwest corner of the island, it was tough to get all the way to Hilo, and the volcanoes, which were at least a three hour drive away from our home base. 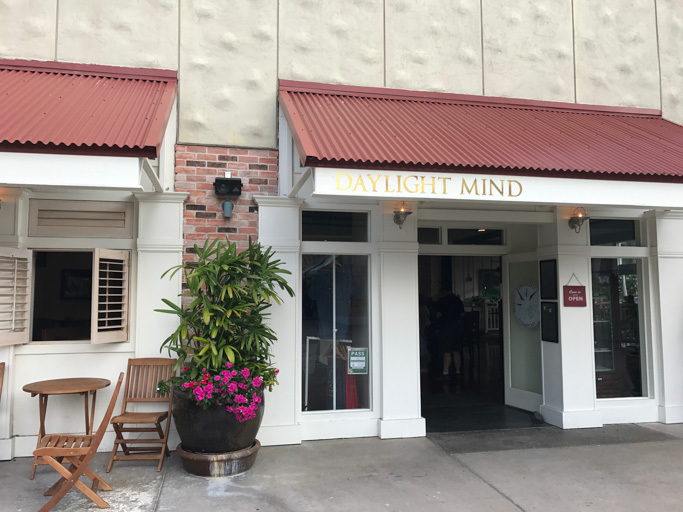 If we were to do things differently, the one thing we would have done was to book a couple additional nights at a hotel near Hilo, so that we could explore that area more. We landed at the Kona airport, and after a short 30 minute drive, arrived at our hotel, The Fairmont Orchid. We immediately unpacked our bags and headed down to the beach for some beers and poke. We were able to spot some turtles on the beach as we soaked in the first of the Hawaiian sunshine. We went to bed early after our day of flying, plus we were 2 hours ahead of time, so the night called for sleep. We woke up early, with the sun, grabbed a cup of Kona coffee from our hotel lobby and headed for the hot tub, hoping to get there before anyone else. We lucked out this morning, and every other morning of our trip, having our morning soaks all to ourselves. Walking the grounds for a bit before we made our way back to the room to start our day. 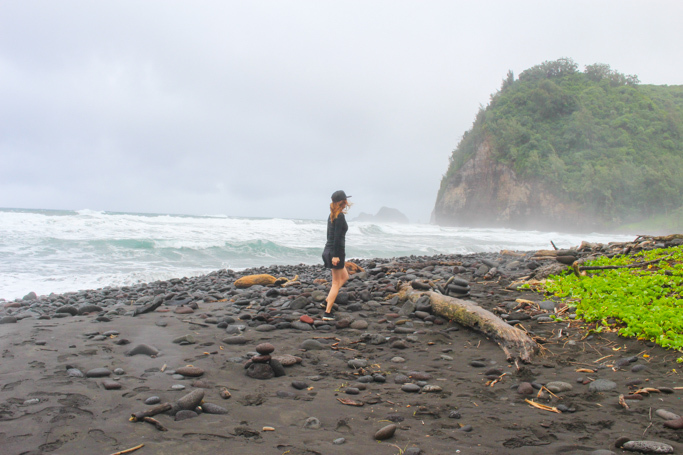 Based on suggestions from friends, we decided to check out Pololu Valley – A black sand beach on the north side of the island. On our drive over, we stopped in the small town of Kapaau for lunch at the CSC Café. I was a bit skeptical as we drove up. There were a few old men sitting outside watching LIVE with Kelly on the TV and the inside looked like a really old, run down A&W. But the menu looked good! Lots of plate lunch options, and breakfast too. Rick ordered an omelet, and I ordered the Chicken Teri. They were both served to us in Styrofoam boxes with plastic forks. Even though it didn’t look like much, Rick said his omelet was amazing. And my teriyaki chicken was pretty darn yummy too. We were now ready to tackle this hike. 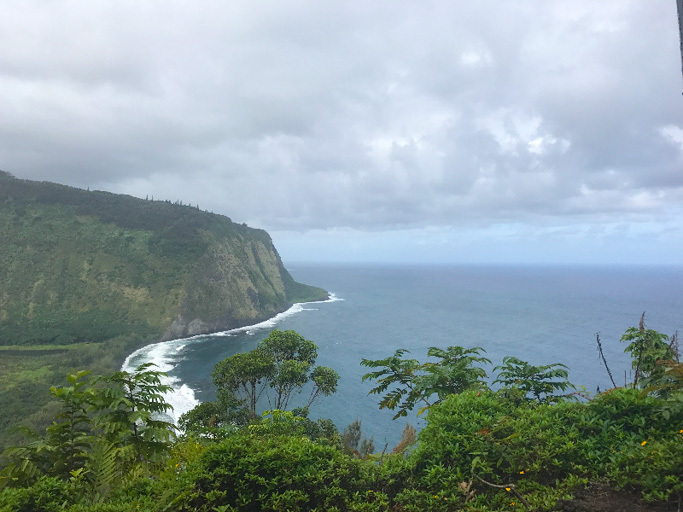 We were warned that Pololu Valley could be a steep, slippery hike down, and it definitely was. It was showering outside pretty good, and the hike was mostly on slippery large rocks. We were coated in mud by the time we were finished, but the views were amazing, and the beach was pretty secluded. This was by far my favorite hike of the trip. After our hike, we made our way back to our hotel, enjoyed a couple Mai Tai’s for happy hour and then enjoyed a really, extravagant dinner at Brown’s Beach House, located at our resort. 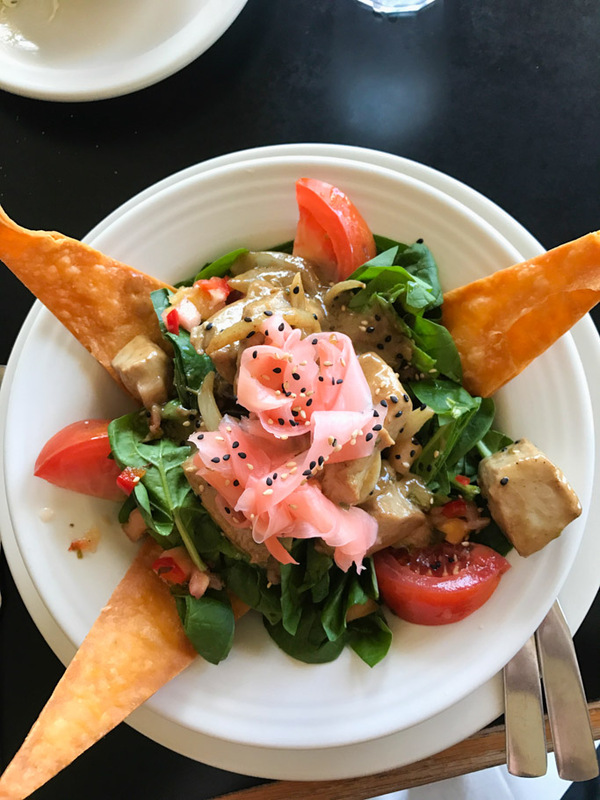 We enjoyed a Macadamia Nut Hummus, Roasted Hearts of Palm Salad, Hawaii Island Beets, and Big Eye Tuna with Sea Vegetables and a Wasabi Potato Puree. It was all fantastic, and we got to enjoy our meal with some live ukulele music and the backdrop of the ocean in front of us. This meal was definitely a highlight of the trip. I would recommend a visit, even if you aren’t staying at the hotel. Before hand, we ordered some martinis. Tip: Don’t order martinis in Hawaii. They get warm way too quickly. Afterwards, we ordered a bottle of Pinot Noir to go with our meal. 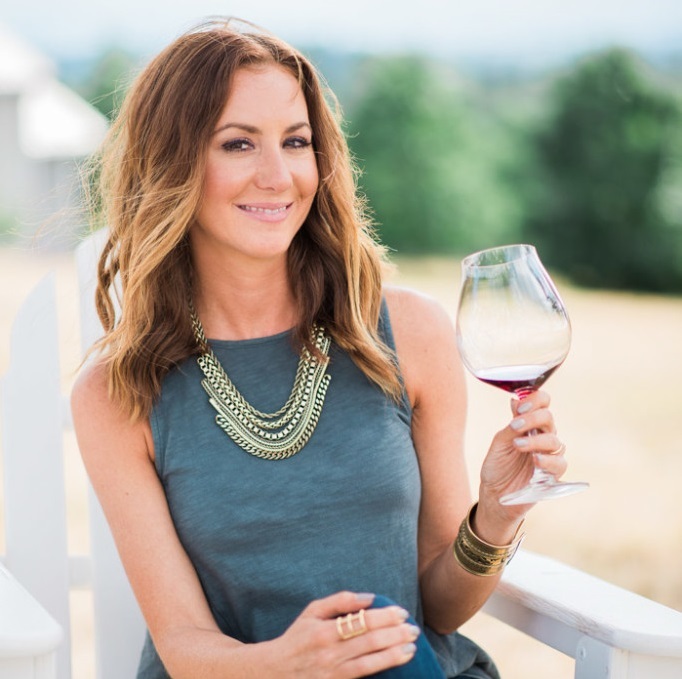 It was an California label that I hadn’t heard of, but it was amazing – Siduri. On Day 3, I woke up with Loco Moco on the brain. 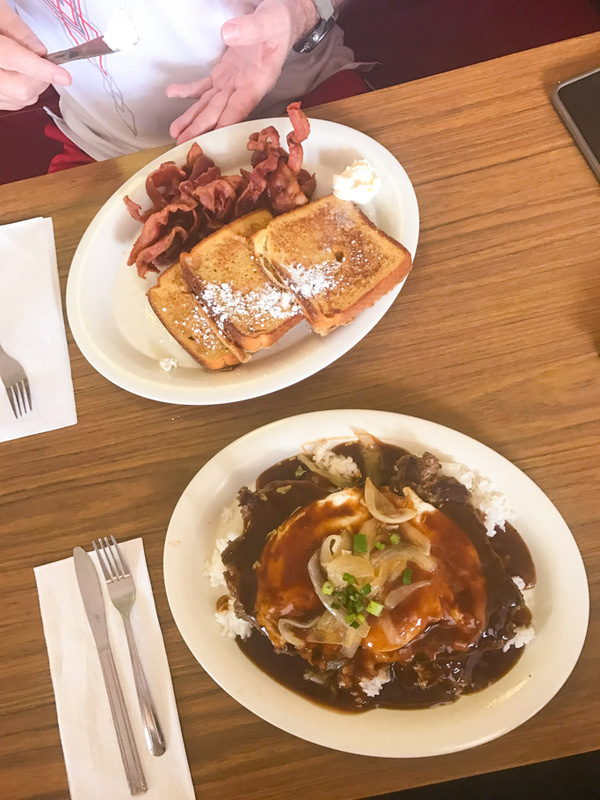 If you haven’t heard of Loco Moco, you’ve probably never been to Hawaii. 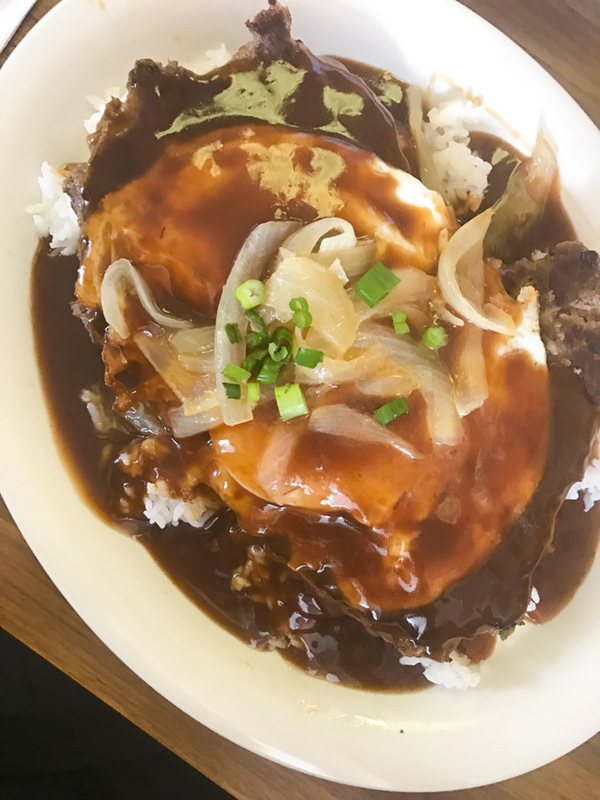 It’s a traditional Hawaiian dish which consists of a hamburger patty, served over a bed of rice with brown gravy and an egg on top. So good! 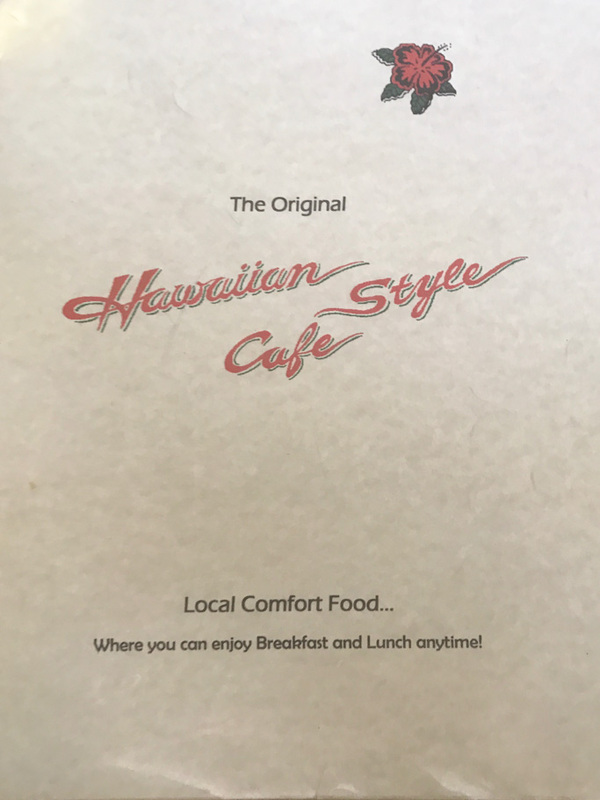 The Hawaiian Style Café in Waimea came highly recommended to us. I’d heard that the portions were huge, especially the pancakes, but I was ready. This girl can eat. I went with the aforementioned Loco Moco, with their housemade hamburger patty. Note: They serve two types of Loco Moco – And our waitress gave me the scoop. The one listed in the menu uses frozen burger patties, but the one on the specials board is their own housemade patty – That’s the way to go. It also comes served with sautéed onions on top. Rick ordered the Macadamia Nut French toast which you can probably image was out of this world as well. Once we made our way down, we were hoping to find our way over to the falls, but the only way to get over there is to hike on the rocky shore, along the waves. It was a stormy day, and I really didn’t want to get swept away, so we just admired the falls from afar. We found a couple wild horses down there, but I kept my distance. They were beautiful, but they were definitely getting pushy with the couple that was petting them – I think just looking for food. And so far, you may be noticing a trend… I’m a bit of a scaredy cat. 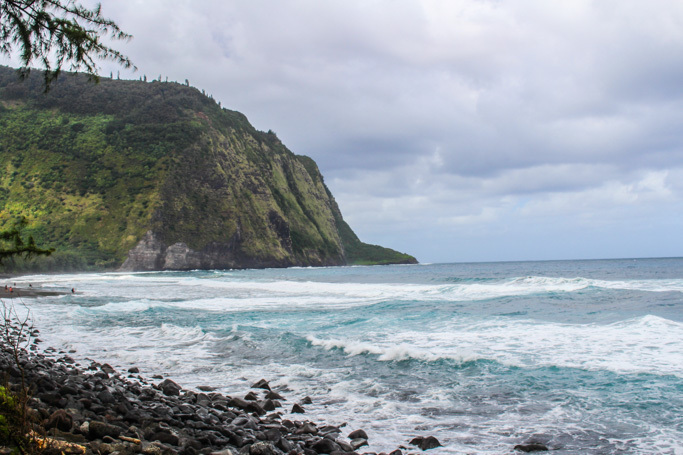 Waipio Falls may look familiar to you – It is where the end of Waterworld was filmed. We stopped at the Big Island Brewhaus in Kamuela on our way back. Owner, Thomas Kerns, got his start in the micro-brewing scene with McMenamins – A local Oregon brewery. It was awesome to stop in and see a couple Oregon Ducks football helmets displayed – Even if they are having a horrible season this year. A little piece of home… I got a beer sampler and Rick ordered a Coconut Creme Ale. I really liked their Big Mac Nut Brown Ale and Starshine Ginger Bier, but they were all quite tasty. Today’s breakfast was a full departure from yesterday’s Loco Moco. 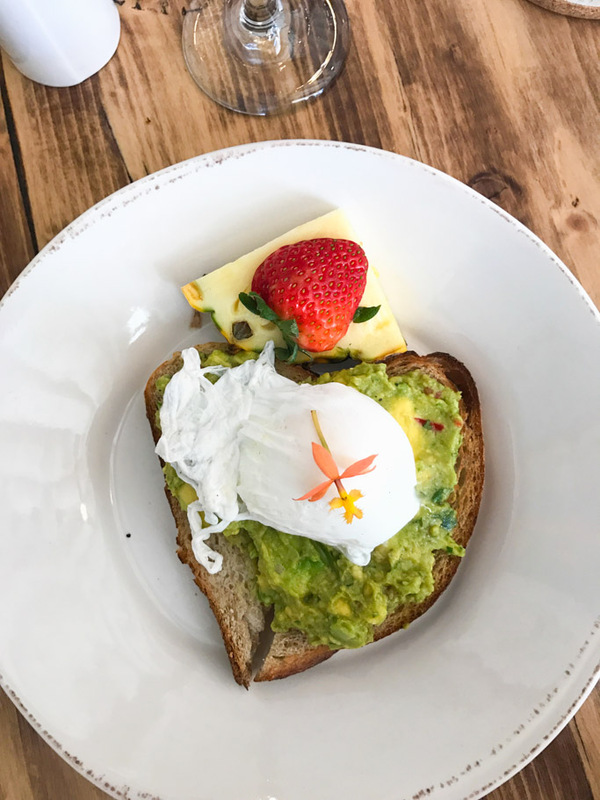 We stopped by Daylight Mind Coffee, located in the Queen’s Shopping Center and I started with something a bit lighter – Avocado Smash on sourdough. Today was all about Rick – Which means golf. The Makalei Golf Club in Kailua-Kona is located in the hills, so it’s a bit cooler, and could almost be considered wooded. It’s home to hundreds of wild peacocks and turkeys – Which is ironic being that tomorrow is Thanksgiving. 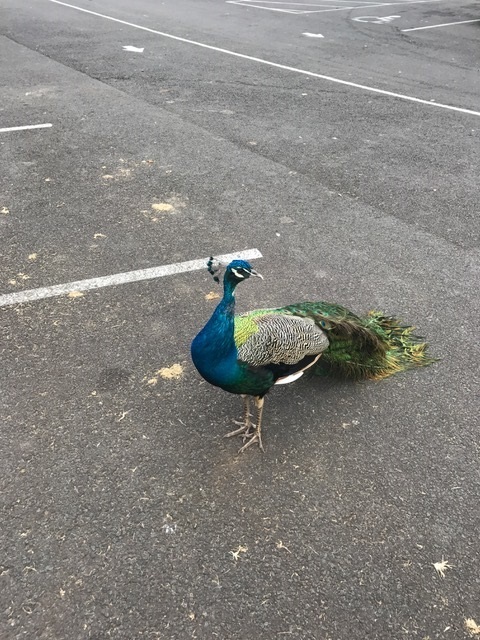 While Rick golfed, I fed the peacocks with my complimentary Peacock Pupus. After golf, we headed into Kona and stopped by the Kona Brewing Co. This place was packed! 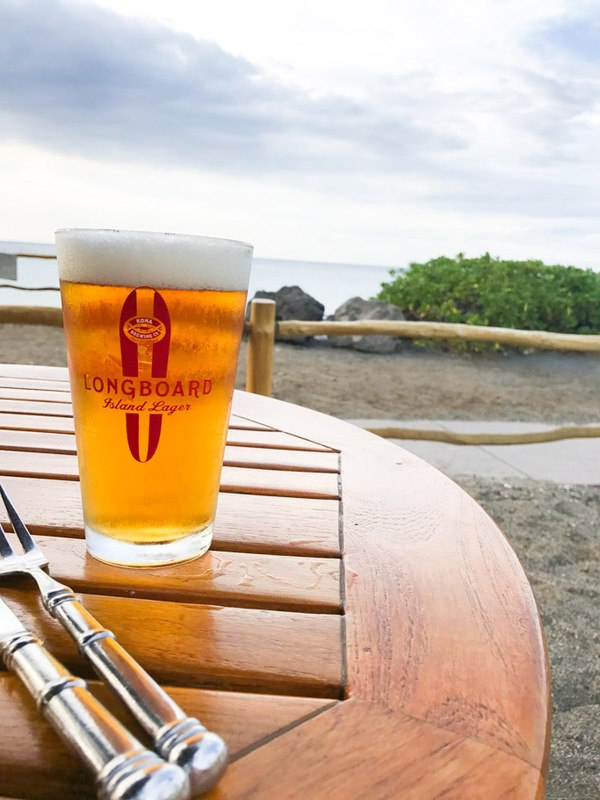 I’m not sure if it’s because there was a cruise ship docked, or if it’s just always this busy, but I much preferred the lower key Big Island Brewhaws that we visited yesterday. I was ready for Poke. I’d heard about Umeke’s from Roadfood. Do you listed to Splendid Table on NPR? Those are the Roadfood folks – They suggested this place. It was as good as I anticipated. I got a huge bowl of poke with brown rice and pickled cucumbers. I would have been happy eating this every single day of the trip. 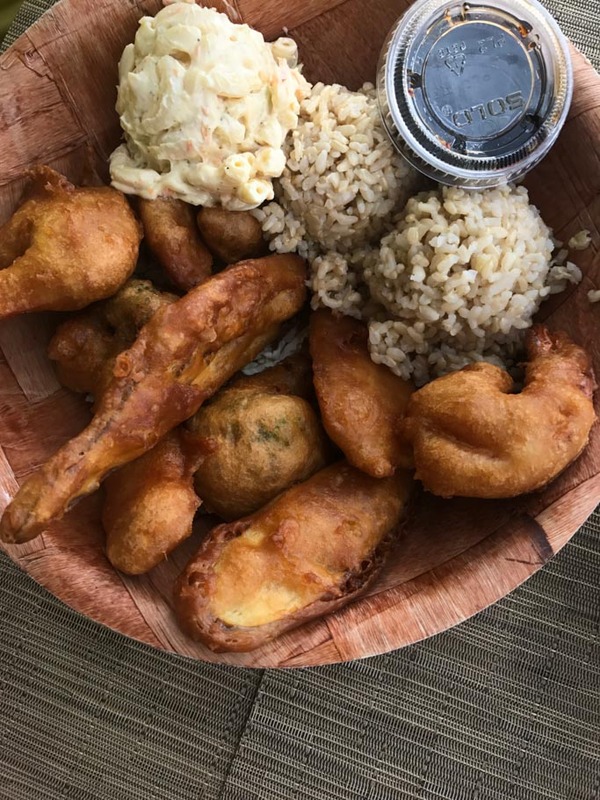 Rick got the tempura veggies with mac salad – Best tempura of my life. Thanksgiving Day – We played it pretty low key for the most part. Rick went golfing, and I layed out by the pool trying to prepare myself for what would be in store later in the night – Mauna Kea. We made a short drive north from our hotel and stopped by Café Pesto in Kamuela. 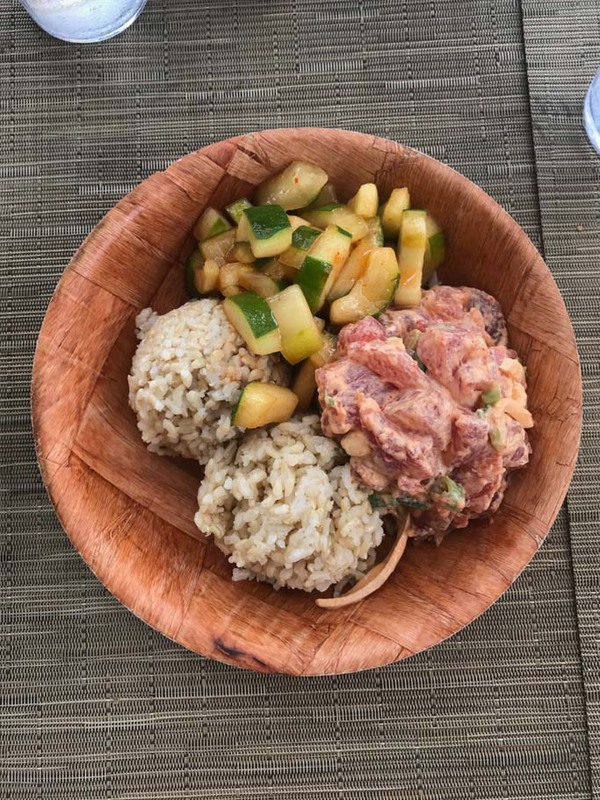 This place has great Yelp reviews, and came recommended to us, but I thought my dish was just OK… I ordered a poke salad. Perhaps I should have gone the way Rick did and ordered Italian (should the restaurant name have been a clue?). 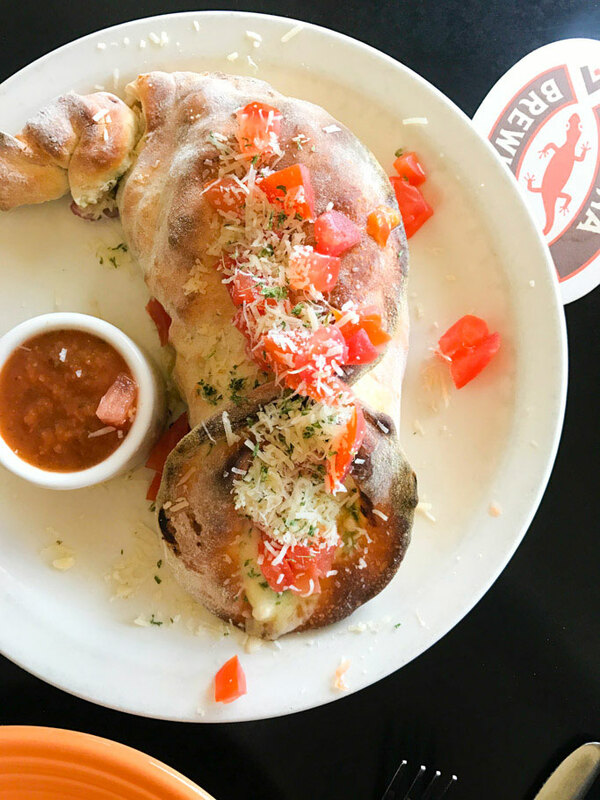 He ordered the Stromboli. I also hear that the pizza is fantastic here. I’d been anticipating more sushi on this trip, so for dinner, we made reservations at Norio’s Japanese Steakhouse & Sushi located at our resort. The service was amazing, the sesame glazed edamame were fantastic, and the fish was as fresh as it comes. 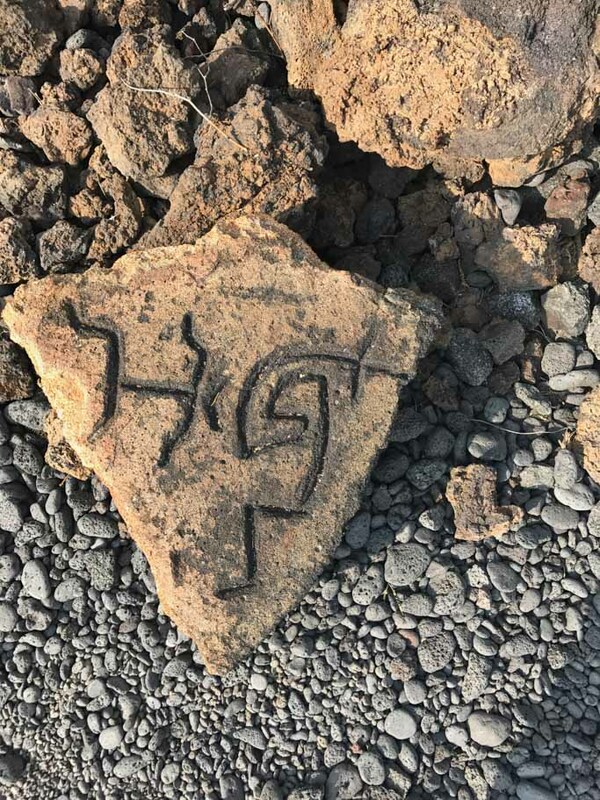 A short hike from our hotel are the Puako Petroglyphs. 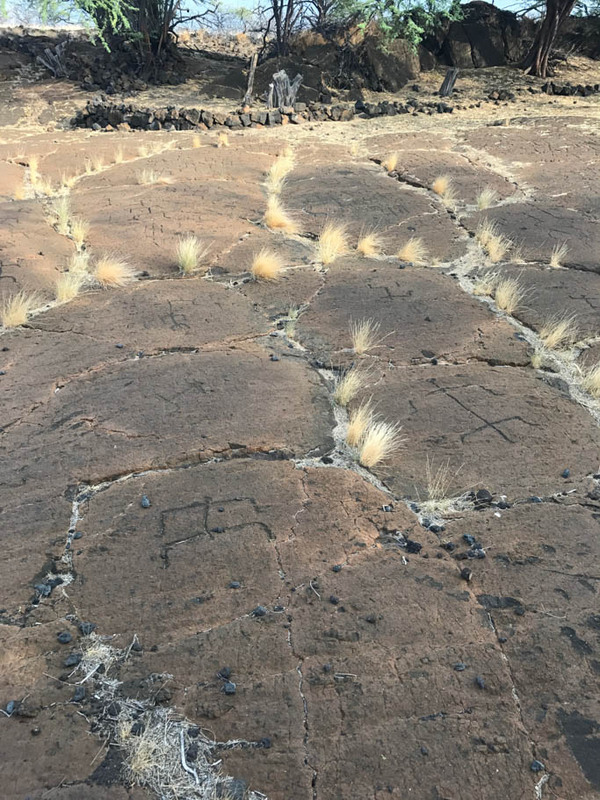 A few days ago, we’d stopped by the petroglyphs at the Queen’s Shopping Center, but the Puako Petroglyphs are much, much better – There are tons of them – And they are really a lot more clear. I have no idea what they mean… But they were cool nonetheless. This was the final day of our trip, and I couldn’t get that Hawaiian Style Café in Waimea out of my head. So.. We went back. This time, I ordered the Korean Rib plate lunch. It was way too much food, and I had so many leftovers, but they feed all of the scraps to their pigs, so I didn’t feel so bad… Except… Cannibalism? 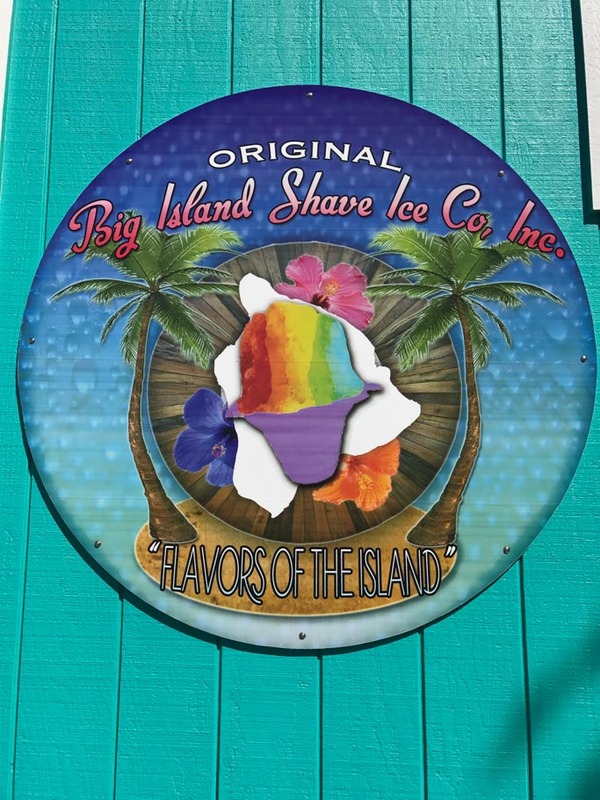 Have you been to the Big Island? What were some of the highlights of your visit? 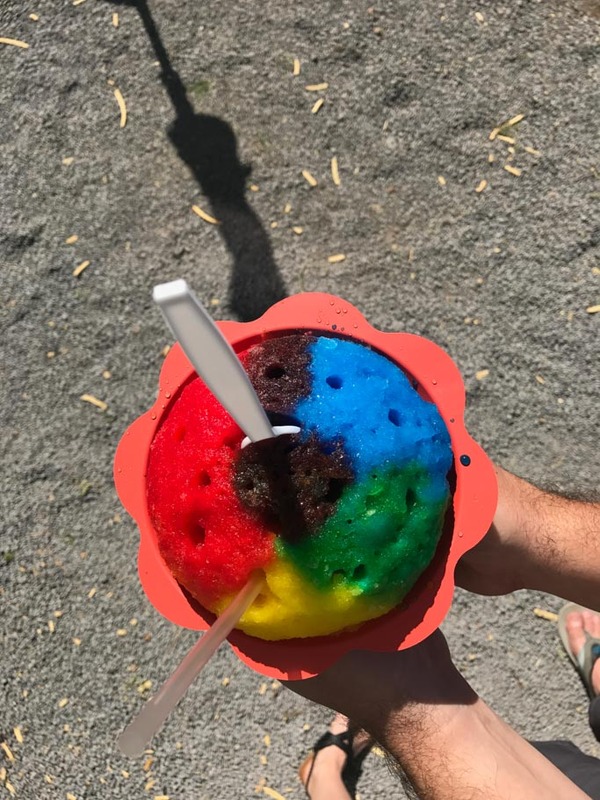 Do you have a list of where you like to eat when visiting the Big Island? This is perfect timing since I’m heading to the big island in a few weeks! 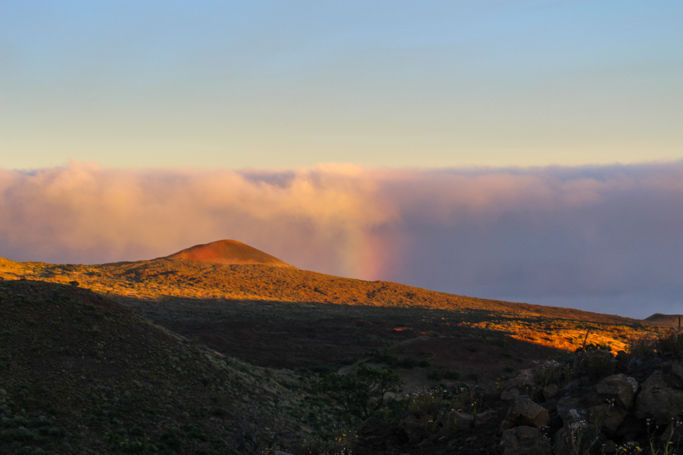 I’ve been to several other islands, but this will be my first time visiting the Big Island, so I’m definitely saving your hike and restaurant recommendations! Yay – I’m so jealous. I want to be back there RIGHT now! 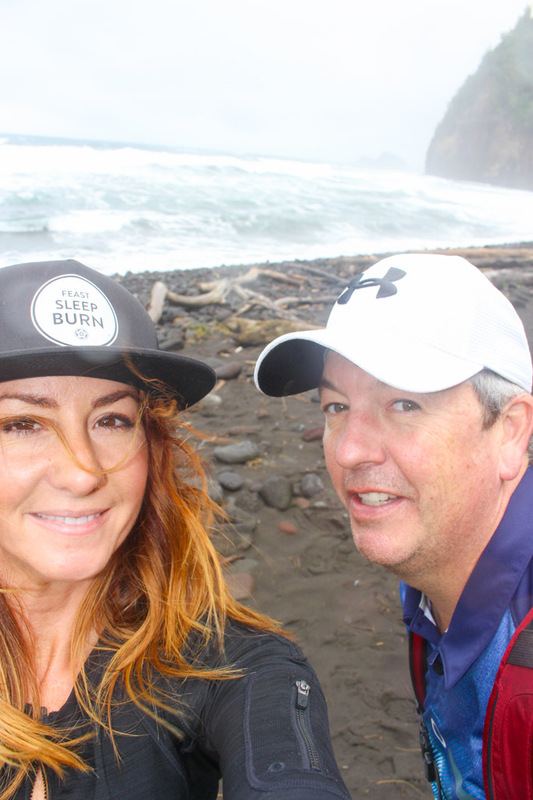 Have a great time Brianne – I hope you’re able to check out some of these places on the Big Island! Those are the places that we, unfortunately, didn’t have time to check out on the Big Island. Next time we will definitely try to stay at least a couple days in Hilo too. Wow Erin! looks like you had an amazing trip! thank you for sharing all of your places, if ever i get the opportunity to go to the big island i will be coming back to this post for reference! I hope you’re able to make it there sometime soon Maxene – It’s such an easy trip from Oregon! That sounds like a great trip!! We were on Oahu for our honeymoon for about 8 days I think which was also not *quite* enough! 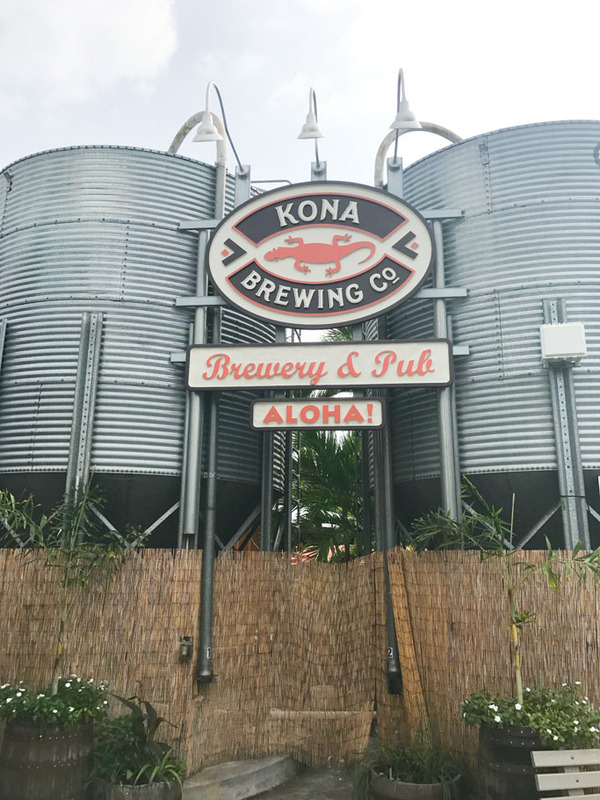 We went to a Kona Brewing Co there which we loooved! Looks like you ate well, and love the sound of those hikes! 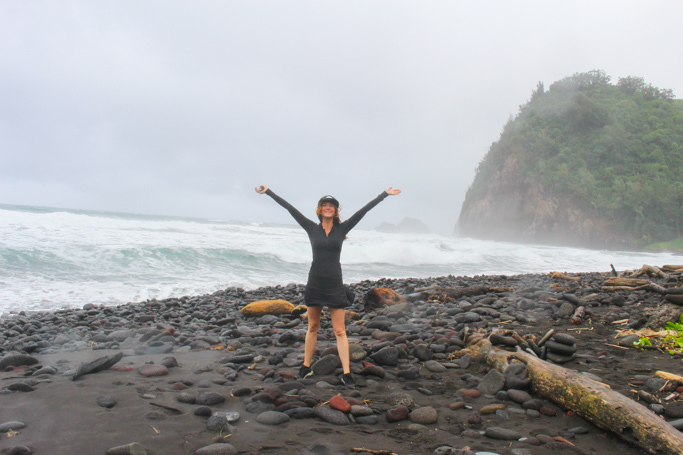 Yes – The hikes in Hawaii were amazing!!! Erin, thanks for sharing your trip! I’ve been to Big Island on our honeymoon in 2014. We loved it sooo much that we’re going back next month!!! I took some notes from your trip so we can include it in our itinerary. Last time we stayed in Hilo entire time. 8 days. (Is that a magic number?) The highlights were Waipeo Valley, though we didn’t see the waterfall (it’ll change in January), and Mauna Kea. 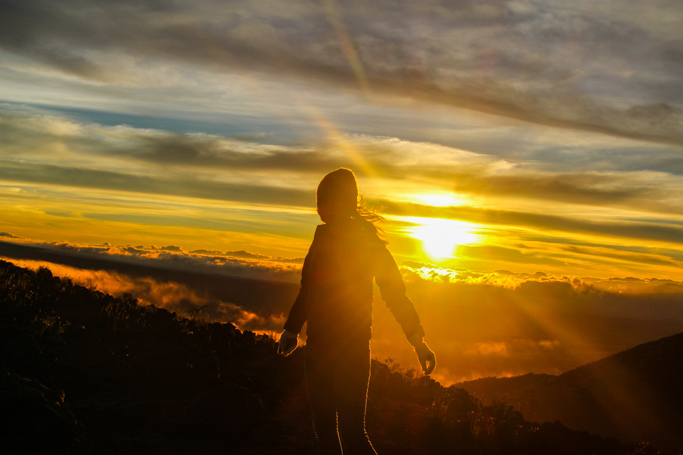 You’ve captured the beautiful and colorful sunset in your photos by the way! We weren’t prepared for the freezing temps and I’m embarrassed to say we were in shorts!! 🙂 Lesson learned and we’ll bundle up next time. 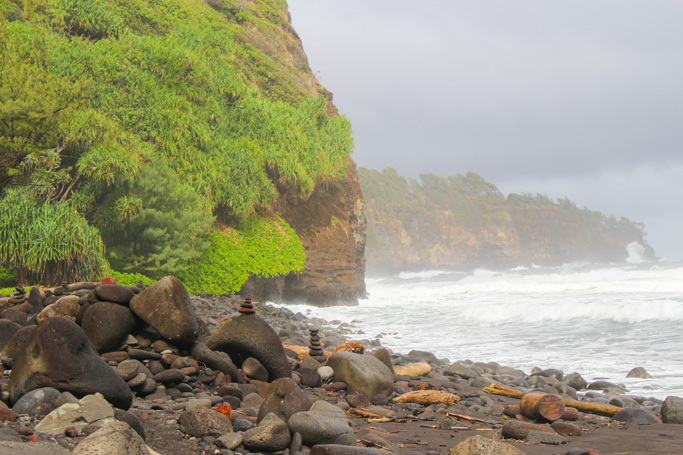 Can’t wait to go back and check out Pololu Valley and Waipio Falls! Ooohhh – Your trip is coming right up Shinee – How exciting! I’m sure you will have an amazing time! 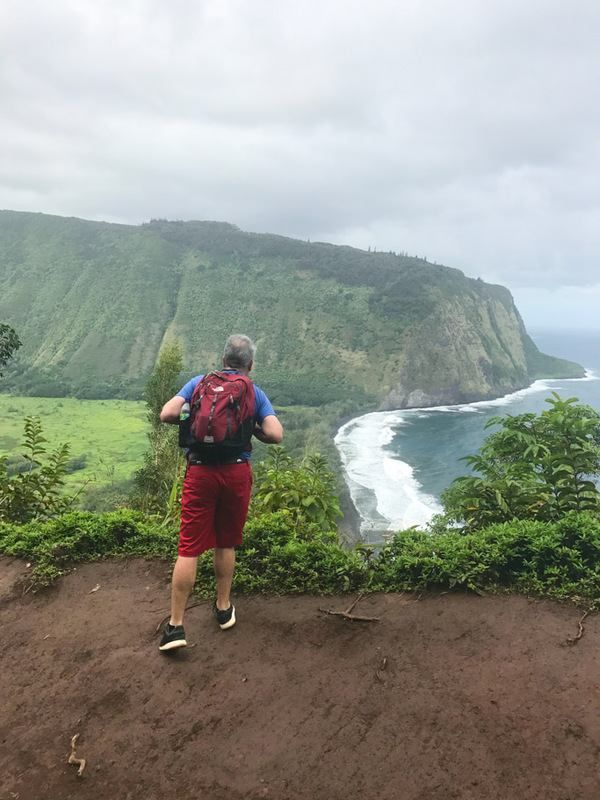 Definitely check out Pololu Valley – It was my favorite hike of the trip. I miss it all too! Can’t wait to go back to Hawaii!!! Hawaii is a dream destination, Erin! Your suggestions are tips are awesome and worth remembering! Thank you Agness – It was such an amazing trip! I can’t wait to go back!!! 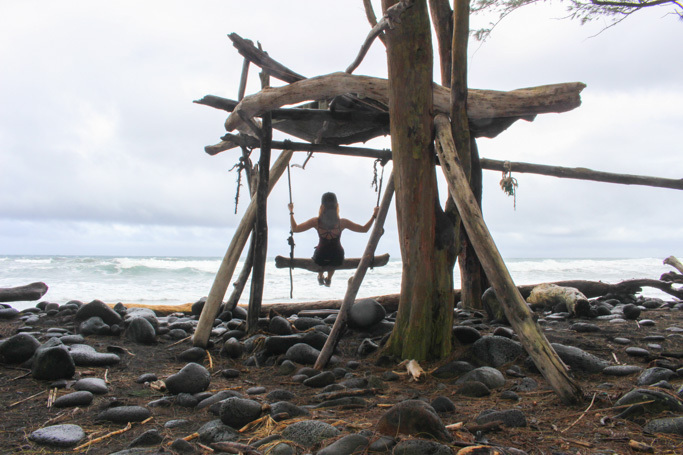 We have been to the Big Island 8 times in the last ten years.By far our favorite spot is the Wae Opae tide pools in Kapoho.This place has awesome snorkelling in the many tide pools formed by an old lava flow .There are some nice affordable vacation rentals in the area.Also worth seeing is the Hilo farmer,s market Wednesday’s and Saturday as well as Uncle Robert,s night market at Kalapana on Wednesday nights! I cannot wait to go back Esther! Thanks for these great suggestions!!! Thank you for this post. I am taking my family on a first vacation to the big island in July and your post really helped with my research. I’m so glad it was helpful Dijana! I give you a lot of credit hiking down then up Waipio. I did it a few times, by the time you reach the bottom your legs are shaking. 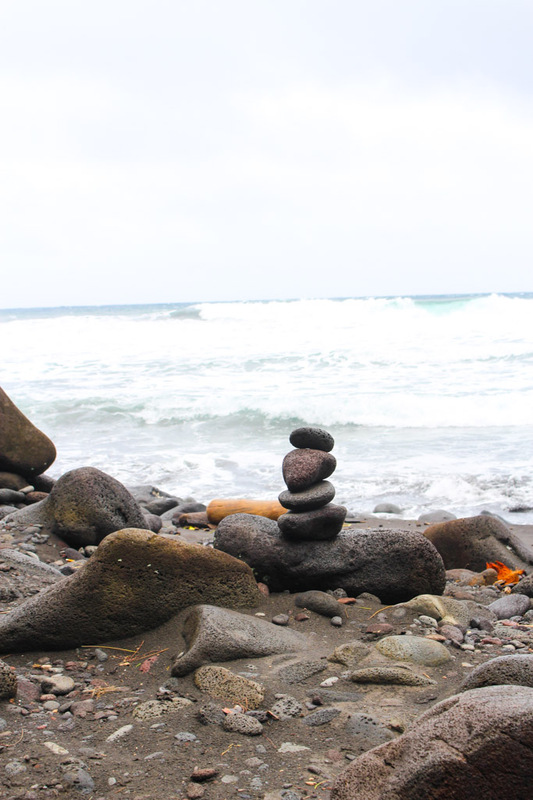 Crossing the stream is that beautiful black sand beach. Went swimming, no one else was there. I always had the intention of hiking to the next valley but lacked the courage. I give you a lot of credit hiking down then up Waipio. I did it a few times, by the time you reach the bottom your legs are shaking. 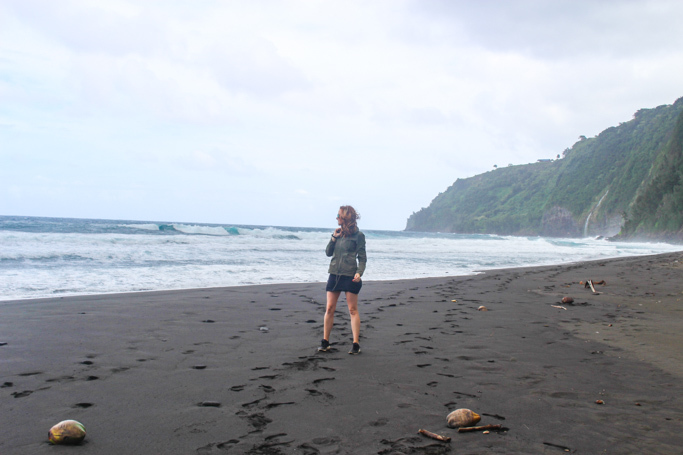 Crossing the stream is that beautiful black sand beach. Went swimming, no one else was there. 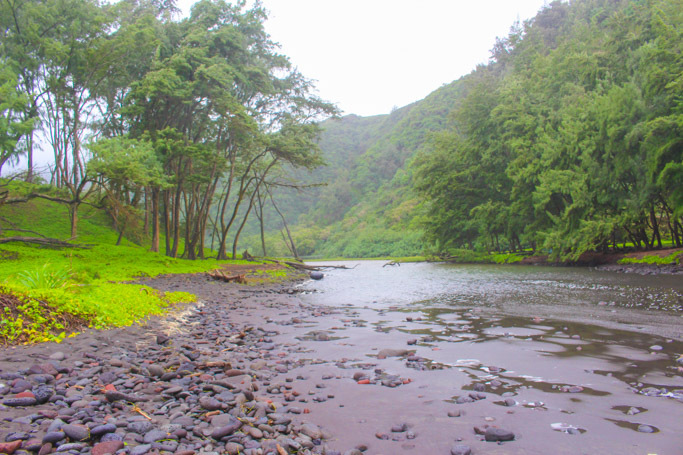 I always had the intention of hiking to the next valley, Waimanu, but lacked the courage.